On Wednesday, April 18, 2018, more than 50 people attended the town hall discussing discrimination in Grand Rapids in the areas of housing, employment, public accommodations, and disability. The Grand Rapids Civil Rights ordinance proposed by Linc up (CRO) specifies that it is illegal to discriminate based on race, color, creed, religion, national origin, ancestry, age, gender, marital status, disability, height, weight, sexual orientation, gender identity, personal appearance, political affiliation, prior arrest or conviction record, source of income, family responsibility or any other discrimination based upon classifying a person which is not based upon factual data about the persons or group and is not related to the purpose for which it is used. Linc up proposed the City of Grand Rapids Dedicate resources to establishing a complaint investigations division to investigate complaints that have occurred in the City of Grand Rapids within 365 days of the alleged incident. On Wednesday, April 18, 2018, more than 50 people attended a town hall at LINC UP to discuss a Civil Rights ordinance proposal for the City of Grand Rapids. Jeremy DeRoo, Executive Director of LINC UP opened the meeting and welcomed attendees. Lyonel LaGrone, Policy Liaison of LINC UP, who’s spearheaded this proposal then gave a presentation on what the proposal entails, why it’s needed, and how they were looking for community input on the ordinance. “As a policy liaison here at LINC, my job is to take community concerns and translate them into policy solutions. One of the things I heard when I started talking to people about this is, ‘I have all this experience, every time I go to find a job, they want to send me to a factory, but I do have office experience. I truly believe it’s because of discrimination,'" explained LaGrone. 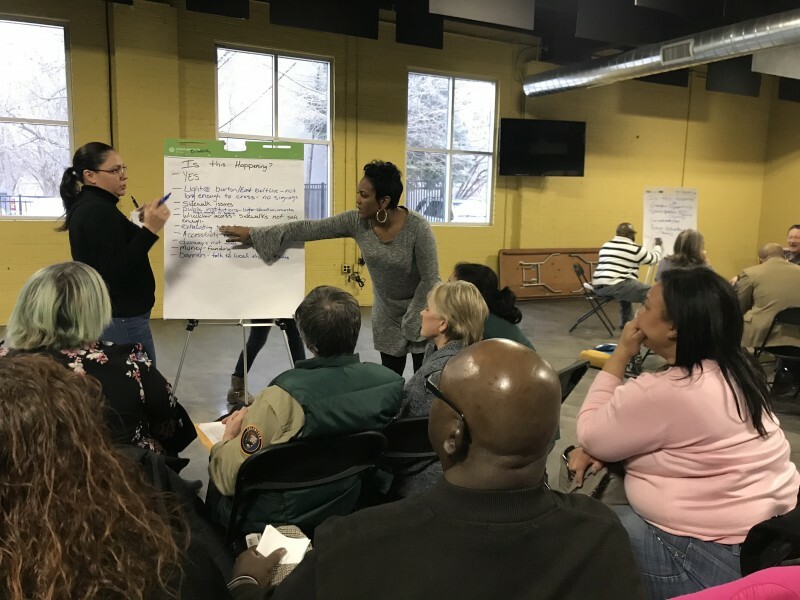 When asked about which community groups and city departments LINC had spoken to when working on the ordinance, LaGrone and DeRoo detailed the conversations they’d had in preparation for writing the ordinance. Near the end of LaGrone’s presentation, community members started asking questions, including wondering how this city law would compare to other cities' laws, why it was necessary if federal law already prohibits discrimination and what the hope was for this new measure. 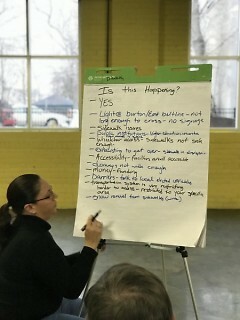 The meeting then broke into five groups, covering topics of concern covered in the ordinance including housing, employment, public accommodations (places like restaurants, parks), disabilities, and an all-emcompasing ‘other’ category. 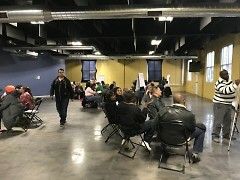 Attendees were asked to participate in the two break-out sessions of most interest to them. The meeting concluded with each group reading a summary of their conversations. DeRoo noted LINC will be taking the feedback from commmunity members and emailing out a summarization of the evenings comments to attendees. LaGrone said, "The next step in the process is to incorporate the community's feedback and put it back out to the community for review and getting it to the city commission."